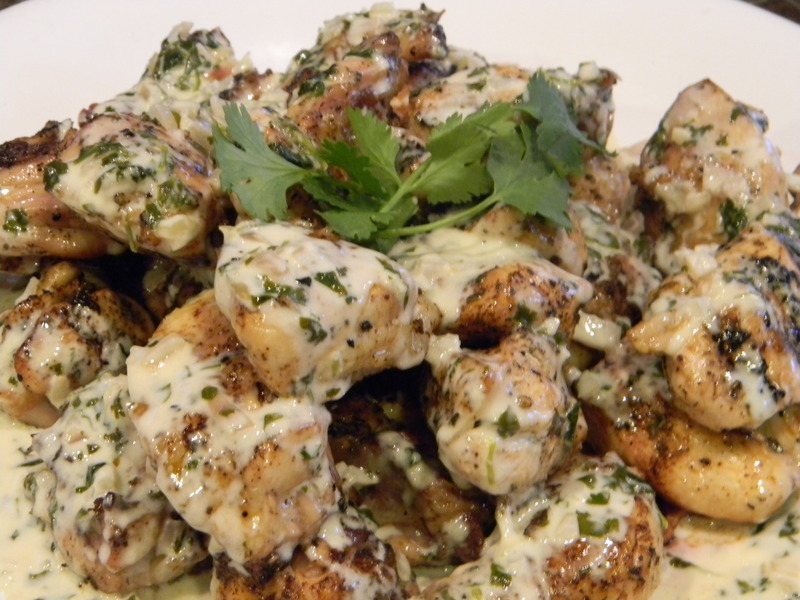 J. Alexander used to have a similar dish, which I used to love. This sauce isn’t the healthiest of sauces but it really brightens up a chicken dish. 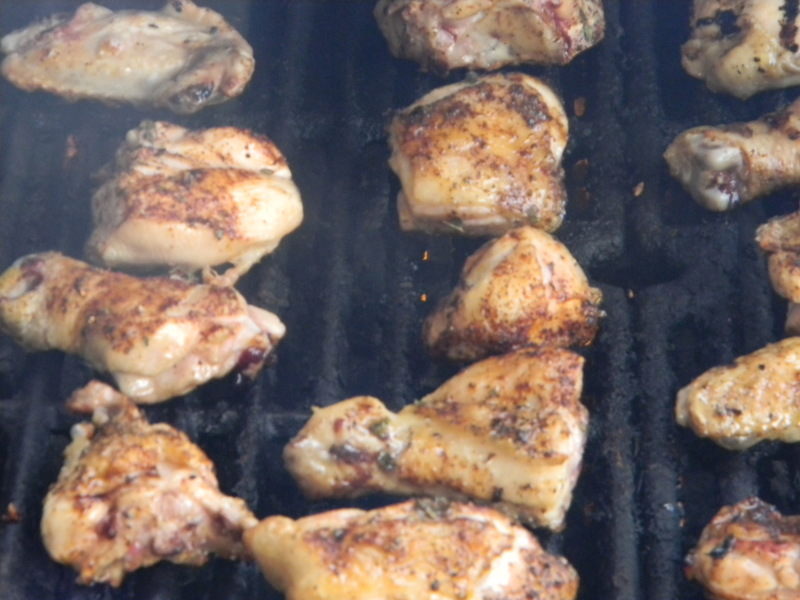 Feel free to cheat with a rotisserie chicken or serve it over a couple of chicken breasts. I serve this dish with simple mashed potatos and a salad. 1.) Preheat your grill. 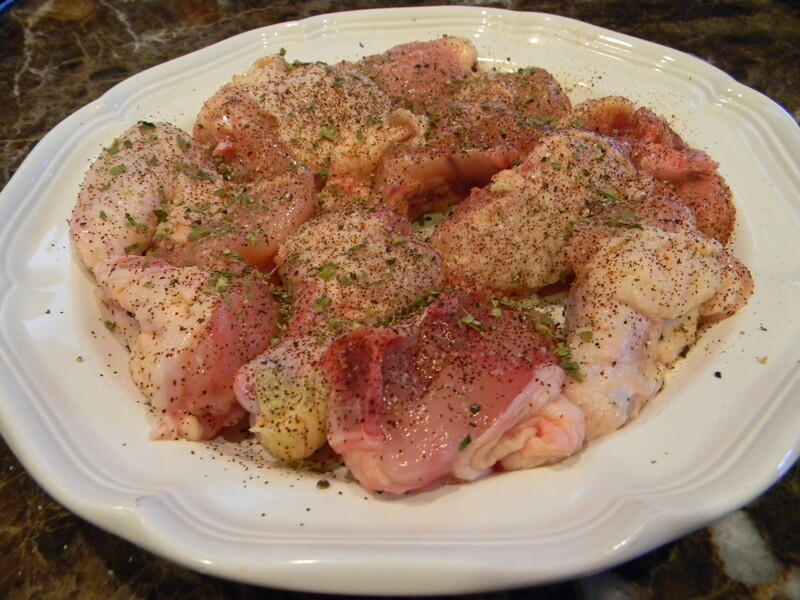 Season the chicken pieces with oregano, salt, pepper, and chile powder. Place on hot grill and grill for about 8-12 minutes per side, depending on the piece. Remove to a serving platter and keep warm. 2.) In a large saute pan over medium heat, heat 1 tablespoon butter. 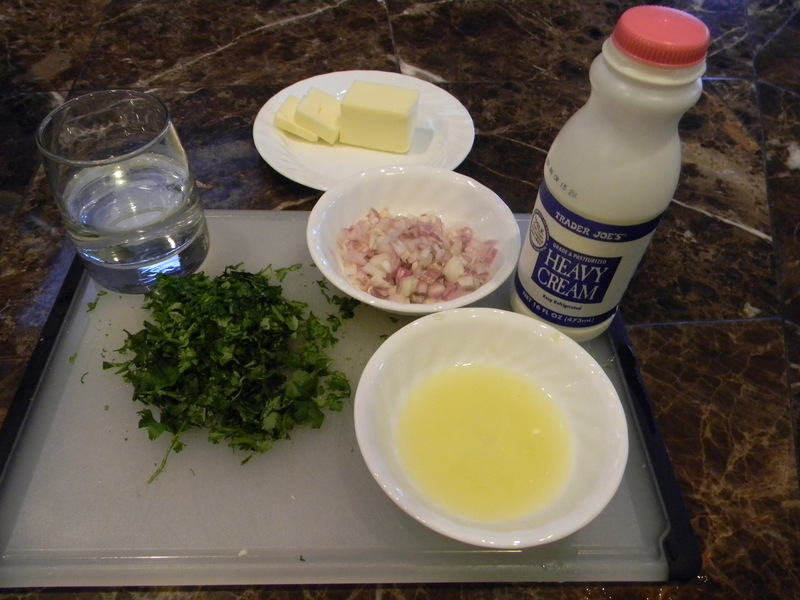 Saute garlic and shallots for one minute until lightly browned and fragrant. Pour in tequila and bring to a boil. Let tequila reduce by half. 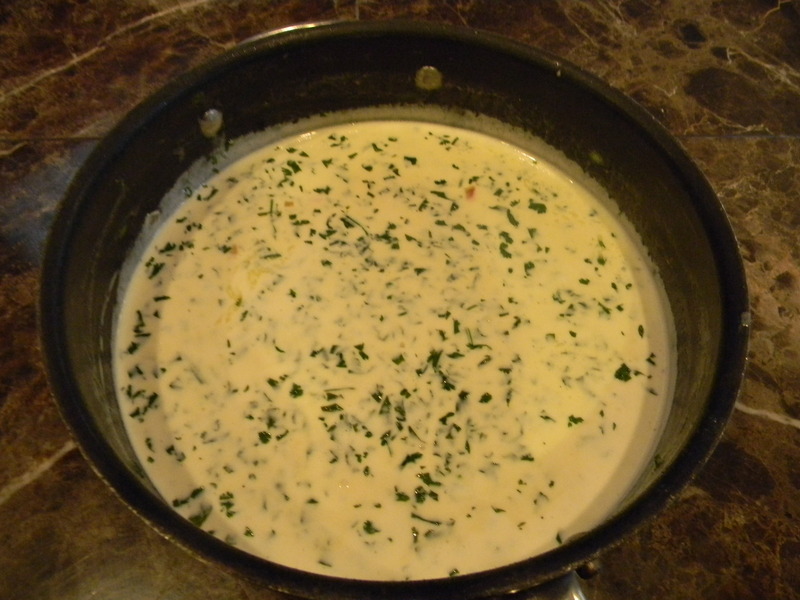 Stir in the lime juice and cream and simmer for 3 minutes. Whisking constantly, add the butter piece by piece until well combined. Add cilantro, season with salt and pepper and remove from heat. Serve immediately.